The Moody Bible Institute today announced the resignations of President Paul Nyquist and Chief Operating Officer Steve Mogck, and the retirement of Provost Junias Venugopal. As I first reported Friday, the administration was facing serious allegations including allowing professors who deny the inerrancy of Scripture to teach at the institute and write curriculum; permitting a top education official to violate the institute’s bylaws repeatedly; fostering an atmosphere of fear and intimidation; and refusing to allow shared governance with faculty as stipulated by the Higher Learning Commission. On behalf of the Board of Trustees, let me thank you for your service to Christ, your dedication to Moody Bible Institute, and commitment to be in prayer for the ministry at this time. We often refer to the Moody family, which is how we see all of you. We apologize for coming to you so late in the day, but given the nature of the news we are sharing, we felt it best to communicate with you as soon as possible. As you know, the Board of Trustees has been discussing issues related to widespread concerns over the direction of Moody. Today, we accepted the resignations of President, Dr. Paul Nyquist; Chief Operating Officer, Steve Mogck; and the retirement of Provost, Dr. Junias Venugopal. Let there be no mistake that the Board of Trustees holds these three men in high regard for their ethical, moral, and spiritual leadership. They are godly, honorable men to whom we entrust to the Lord and offer our deep gratitude for their years of faithful service to Christ and to Moody. However, we are unanimous in our decision that it is time for a new season of leadership. I ask that you be in prayer for them and their families. While we begin to develop plans for a nationwide search and prayerfully seek the Lord’s direction for these important positions, we are encouraged that the Lord has provided a strong leadership team to step into these roles in the interim. Greg Thornton, Senior Vice President of Media, will serve as Interim President during our search. Mark Wagner, a member of our Board, who is former president of, and now a consultant to, Walgreen’s, will serve as Interim Chief Operating Officer. In addition, Dr. John Jelinek, Vice President and Dean of Moody Theological Seminary, will serve as Interim Provost. Understandably, there are many questions at this time. Please know that we are working diligently through everything, and will stay in regular contact with you first, our Moody family, and with our many partners and friends as well. I ask for your prayers for the Board, our interim leadership team, and the entire Moody community during this next season. God has been faithful to Moody since 1886, and we continue to seek His favor as we move forward. A previous version of this post said that Dr. Venugopal had resigned instead of retired. Sorry for the confusion. 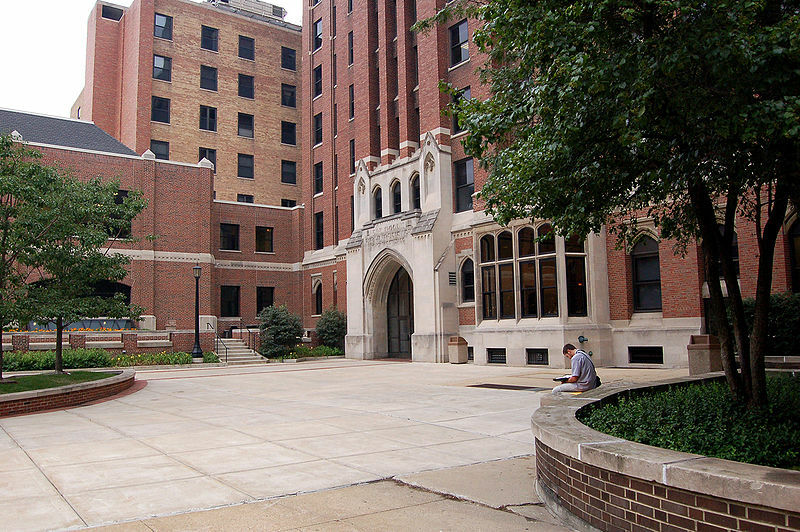 Three Top Leaders are Out, But Has Anything Really Changed at Moody Bible Institute? We were a Moody Bible Radio affiliate ––100,000 watt radio station for over twenty years. Four years ago, we made the decision to drop using Moody Radio because of compromise at Moody Bible Institute. When four years ago they decided that faculty could drink, smoke and gamble in moderation–– that was the final straw for me. If that’s what is needed to attract new or younger faculty as was explained to me––then they are attracting the wrong kind of people. Not to mention––Moody has been known for equipping many people who are headed into full-time missions. Our church that I pastor sponsors over 300 missionaries every month representing a multiplicity of evangelical mission agencies. Not one of them allow any of their missionaries to drink or smoke, much less gamble.So to set one standard for the faculty and a different standard for students who will potentially become missionaries is very foolish.The board of trustees voted for this decision loosening their 100 year standard. There’s a lot more house cleaning that needs to be done if Moody is going to get back on track.Our church has a number of students there now, but I am no longer endorsing the school until there are some serious changes made. The detailed letter I sent to the president and every board member was never responded to. Money I fear was driving their ship and not the Spirit of God. Thank you Carl….you are right on! The weakening of standards has bothered me as well. My son was attending Moody at the time this took place. The timing was odd also as it happened right before Jerry Jenkins was featured in World Magazine and, Jerry Jenkins remains on the Board. Thank you for added information. Prohibitions against drinking and smoking (in moderation) are more American Christian issues than actual clear sins. Is not the standard against such activity still in place for students while they are students? That seems legitimate to me–some students are underage (especially for alcohol) and it is wiser to have a campus atmosphere without those elements. But requiring adult employees to refrain from alcohol (away from campus or student interaction) is requiring an extrabiblical standard. I honored it as a student and later as an employee, but I think it was an unnecessary standard for adult employees away from campus. Requiring that employees not smoke seems more a nuisance factor or a health matter than a biblical absolute, but I was happy enough with a prohibition that kept Moody largely a smoke-free zone. I think lifting the restriction on gambling is a little trickier, but maybe it just seemed to them a matter of individual conscience whether an employee bought a lottery ticket now and then. And maybe they didn’t want to get into nitty-gritty minutia like whether poker or bingo are gambling. Not knowing why they lifted the gambling ban, I’m “inclined” to disagree with the change but not to assume animus on it. Too often Christians sit back and allow darkness to flow into Christendom and the church. How truly awesome for the Lord to raise up His special messengers to speak for righteousness when others choose to look the other way or remain silent. Too often in Christendom, the messenger(s) are belittled and held responsible for the exposure because they followed God’s leading to reveal the truth. We pray everyone who reads of the Moody Bible Institute issues will know there is always a season to speak the truth trusting the Lord for the outcome. Thank you, Julie Roys, for being a truly faithful servant to step forward revealing the truth, to not remain silent regardless of the personal cost…you are a true example hopefully other will follow. Our prayers are for the Lord’s guidance and wisdom to be given to the Moody Board as they strive to move forward to make the decisions that prayerfully will strengthen the Moody Bible Institution. I am unaware of the verses where Jesus condemns drinking smoking and gambling in moderation. 1 Thessalonians 5:22…… KJV says it best. Thank you for the action you have taken – actually for all of us. Our hearts have been heavy for what we have seen and heard but you moved. How is it that we hear such pleas for money now? Can’t “they” figure this out that we can’t give when the music sounds like rebellion, the girls wear tight pants, and Biblical theology seems to be in question? Drain the swamp!!! Moody needs new leadership. The Lord will judge. While I respect Dr. Nyquest for his services, I’ve always known that something didn’t sit quite right. For example, he does not think that drawing tattoos on your body is a big deal even though Leviticus 19:28 prohibits it! So he had no problem allowing, aiding, abetting, or encouraging his children to wear tattoos in the name of new generation/millennials and so on. I questioned his soundness then as I do now. Then, there was this Strange Fire conference led by Dr. John MacArthur, I have no idea who is responsible, but Moody radio blocked it out, censoring the truth for the sake of accommodating and loving purveyors of heresy. In any case, Dr. Nyquest has never come across to me as the real thing. Thank Almighty for discernment. All I saw was someone who relished his titles, office, benefits, and appurtenances thereof. I hope that I’m wrong. Otherwise may God have mercy on him and direct his steps. I am by no mean surprised at all that he was fished out. It was just a matter of time. I cannot thank you enough, Julie, for having the courage and godliness to research and document all of this. And I agree with others that you valiantly and thoroughly adhered to Matthew 18, but the parties in question forced the discussion to become public when they refused to respond to you. I prayed for these resignations/firings to result from yesterday’s Trustees’ meeting, yet agree with you and others that additional people need to be made to leave, as well. While I continue to pray for MBI and its future, I’m also praying that they return both your job and your laptop to you. “Shooting the messenger” was a cowardly and evil thing for Administration to do to you! Wow, you guys are crazy. A school that trains students to serve worldwide in the most difficult environments, one that loves and serves the poor in the city, profs who sacrifice pay to teach because they love Jesus, and you’re concerned about smoking, drinking in moderation, etc. Meanwhile this institution regularly sends students out to minister all throughout this city in the hardest places. Get off your comfy sofas and moral high-horses, and get your hands dirty in ministry like these profs and leaders, and make the sacrifices they have made. Then you’ll be respectable enough to be heard. Until then, keep your ‘drain the swamp’ anthem to your backwards Trumpian politics.